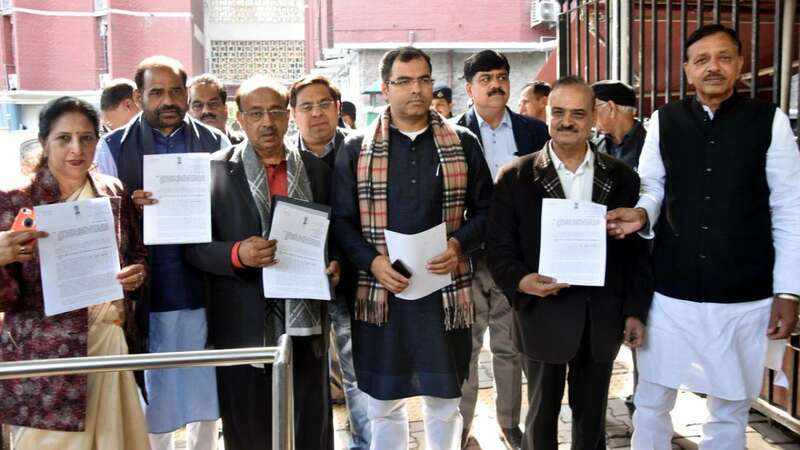 Feb 9 (AZINS) The Chief Electoral Officer of Delhi on Saturday warned against "misleading calls" claiming that their names have already been deleted in the electoral roll, a day after a BJP delegation led by Union minister Vijay Goel met the Chief Election Commissioner over the issue. The BJP delegation met the CEC Sunil Arora on Friday and requested him to issue clarification on "bogus claims" by the Aam Aadmi Party (AAP) that names of 30 lakh voters in Delhi were deleted from electoral roll. The Election Commission should come out with a press statement to "expose" lies spread by the Arvind Kejriwal-led party, Goel said. "Kejriwal government is making bogus phone calls to voters on the pretext that their names have been deleted from the voter list. The Election Commission should issue a press release to expose the lies spread by Kejriwal," Goel said in a statement. BJP MPs Ramesh Bidhuri and Parvesh Verma accompanied Goel. A day later, the Office of Chief Electoral Officer, Delhi issued a clarification on the issue. "It has been brought to the notice of Chief Electoral Office, Delhi that large no. of calls have been received from unknown persons by many citizens of Delhi telling them that their names have already been deleted in the electoral roll," the CEO, Delhi said in a statement. "Citizens are hereby advised to beware of such misleading calls coming from unknown persons/entities/sources. The only authority to add or delete a name in the electoral is Electoral Registration Officer," it said. The AAP has launched sustained attacks on the BJP alleging its hand behind the "deletion" of names of 30 lakh voters, particularly of Purvanchali, Muslims and Bania communities, since the assembly election in Delhi in 2015.